Honey can be a very effective and gentle cleanser for pretty much every skin type. If you have sensitive, normal, combination, dry or oily skin, a raw honey face wash just might be your perfect facial cleanser. Raw honey has been used for centuries for medicinal and cosmetic purposes all over the world. Research in modern times has been growing to document just how healing raw honey can be when it comes to wounds, scars and burn treatments. Can I wash my face with honey? When creating your own honey cleanser make sure to only use raw honey. 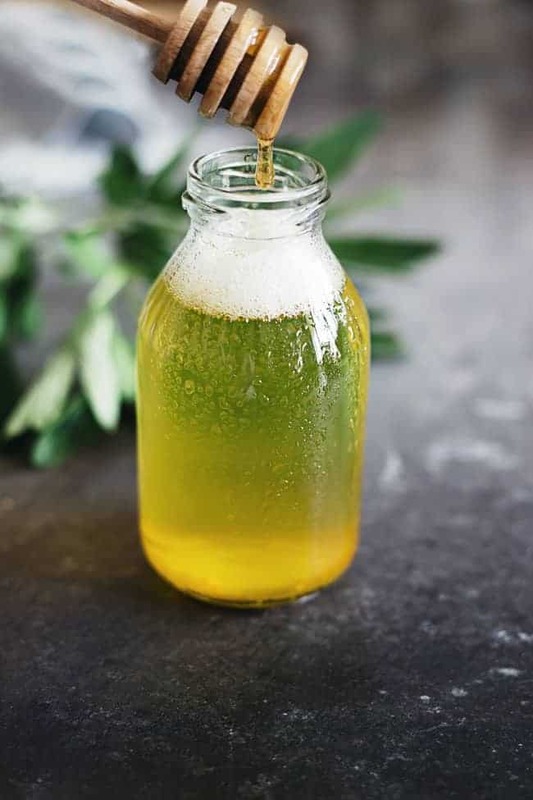 If it’s not raw then the honey has been pasteurized, and because of the heat in this process, some of the antibacterial and probiotic properties from the honey will have been lost. We don’t want that! We want all of the enzymes and bacteria-fighting benefits of honey. If you would like to try an even simpler honey cleanser, you’ll need just one ingredient. You guessed it, raw honey! 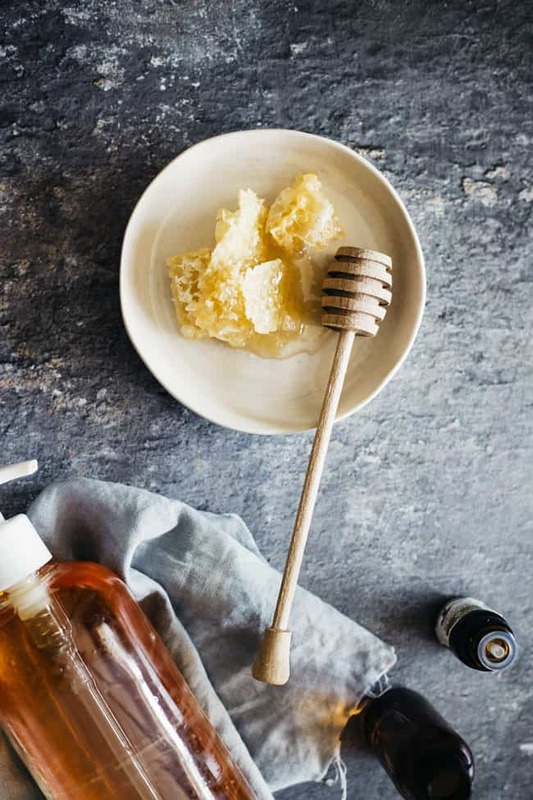 Fair warning, this method is a little stickier and can take a bit longer to remove, but you’ll still enjoy all of the benefits of a honey cleanser. This honey face wash combines the antibacterial, anti-inflammatory and natural humectant power of honey with the gentle cleansing action of Castile soap. It’s a great follow up to an oil cleansing balm as part of a 2-step cleansing regime to make sure all of the oil is removed and also reach even deeper into the pores. This honey face wash combines the antibacterial, anti-inflammatory and natural humectant power of honey with the gentle cleansing action of Castile soap. In a container add water, soap, honey and then oil. If you’d like to treat a particular skin issue like pigmentation or oil control, be sure to add 2-3 drops of the best essential oil to treat that issue. Shake gently until the honey is dissolved. Also be sure to shake before each use. Apply and use as you would a facial cleanser, slight pressure and circular motions all over your face and neck. Rinse with warm water to remove. I don’t see any list of measurements for the ingredients? Hi, it seems great but I can’t see the list of quantities for each ingredient, please would you mind sharing it? can i use pure glycerin instead of castile soap ? This sounds so good for skin, I need to try this out pronto! can activated charcoal be added to this to make it detoxifying? if so – how much? thanks! I just made a smaller batch of this… its love. Can we skip castile soap ? Can we use it everyday and can you please suggest a good site to buy pure essential oils? ?